You need a new roof or heating system and you don’t have the money budgeted for it. Now you have to withdraw more from your retirement funds than anticipated. While establishing an emergency fund equal to a few months of expenses won’t help you this time around, it may help you the next time you incur a large, unexpected expense. If you budget to the penny because you lack disposable income, it can be next to impossible to find the money to take a vacation. You might consider going away by car instead of flying or vacationing with family and friend when they make the offer. But if you really can’t find the money for a vacation, or for an emergency fund for that matter, consider getting a part-time or temporary job. When a costly illness is your biggest financial risk, it pays to have the right health insurance. 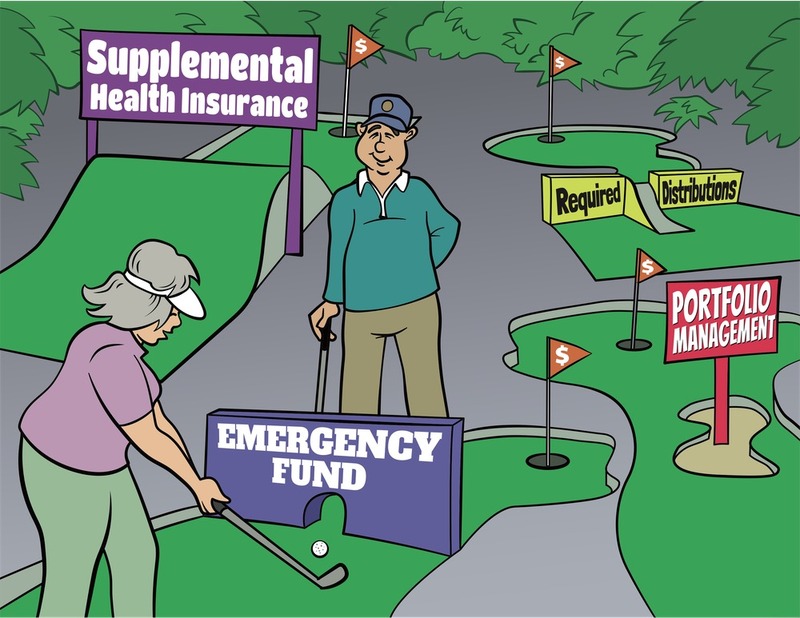 Make sure you have not only basic Medicare, but other insurance you need to defray out-of-pocket costs. Other risks to your retirement security include an increase in your tax rate, withdrawing too much or too little — with the latter resulting in penalties for not taking required minimum distributions, investing too aggressively or conservatively, and outliving your retirement income. Your financial professional can suggest investments to help alleviate these concerns. *Converting from a traditional IRA to a Roth IRA is a taxable event. A Roth IRA offers tax free withdrawals on taxable contributions. To qualify for the tax-free and penalty-free withdrawal of earnings, a Roth IRA must be in place for at least five tax years, and the distribution must take place after age 59 1/2 or due to death, disability, or a first time home purchase (up to a $10,000 lifetime maximum). Depending on state law, Roth IRA distributions may be subject to state taxes.